Enhance your clinical teaching skills, develop essential tools for successful planning and management of student clinical learning experiences, and earn continuing education credits by attending the APTA Credentialed Clinical Instructor Program (CCIP) Level 1 provided by the University of St. Augustine for Health Sciences and co-hosted by Ensign Therapy Services in Austin, TX on November 10 & 11, 2018. This course is open to Physical Therapists, Physical Therapist Assistants, Occupational Therapists, Certified Occupational Therapy Assistants, and other healthcare clinicians interested in developing their skills as a clinical instructor. Those attending will receive continuing education credit – PTs and PTAs will become a Credentialed Clinical Instructor and earn 1.6 CEUs/16 contact hours; Non-PT providers who complete the didactic curriculum will earn a Certificate of Completion for 1.2 CEUs/12 contact hours of continuing education. Cancellations must be received in writing by email. Full refund if cancelled in writing by October 12, 2018. Cancellation in writing by November 3, 2018 will receive refund equivalent to APTA portion of the registration fee only. (PT/PTA member $90, non-member $180; OT/Other $230). No refund for cancellation after November 3, 2018. 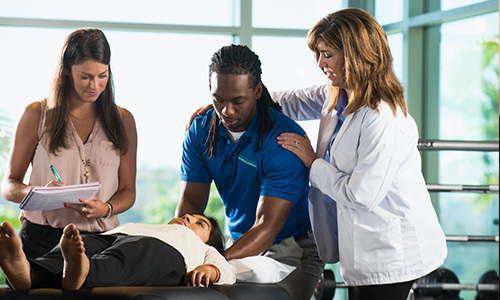 Are you an APTA Member?